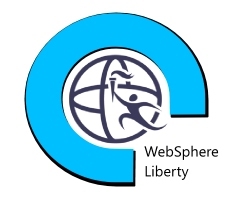 WebSphere Liberty is a fast, dynamic, and easy-to-use Java application server, built on the open source Open Liberty project. WebSphere Liberty is a fast, dynamic, and easy-to-use Java application server that combines IBM technology with open-source software. You can use WebSphere Liberty on premises or in the cloud, for development or production. It provides a solid foundation for developing and running service-oriented architecture (SOA) applications on AWS, because of its fast startup times, ability to pick up changes without requiring server restarts, and simple XML configuration.